Could Your Social Media Hurt Your Nevada Divorce? Most people use at least one social media outlet in this day and age, with Facebook being perhaps the most common. However, what many do not often realize is that even if your posts are private, they may still put be issues when it comes to divorce and everything that goes with it. In the last decade or so, more and more social media evidence has been allowed into the courtroom in divorce cases, which means that many cases have been substantially and negatively impacted by a casual drunken selfie or comment about something that might betray unfitness as a parent. It is imperative that you understand the role of such evidence in divorces, so that you can be prepared if your Twitter, Facebook or Instagram is brought up and used against you. Perhaps the most common way that social media evidence is used during divorce proceedings is in discussions of child custody. Nothing on social media is ever truly private, regardless of the settings one has on their profile, and in Nevada, the courts have held explicitly that there is no right to privacy when it comes to social media. Deleted posts can be retrieved from the social media network if the right permissions are obtained. 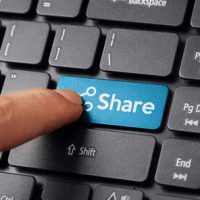 Even if one sets their profile to private, friends can still share posts and items generally at will. Social media evidence is usually used to disprove assertions, or to challenge people on apparent discrepancies. For example, if a parent says under oath that they have ceased drinking or using illicit substances, but then a photo of them intoxicated shows up on Facebook the next day, that is relevant to the custody proceedings. A parent with substance abuse issues is more likely to be found unfit – never mind the lying under oath, which can reflect on a parent’s moral character. Another extremely common way in which social media evidence can be used for you or against you is in dealing with asset distribution, and suspicions of financial foul play. More spouses attempt to hide assets than one might believe, but social media may give the lie to a spouse’s assertions of poverty, and not only your spouse’s accounts. Friends and colleagues may be much less wary regarding what they share, and very often, married couples will have many mutual friends. Thus, if they post pictures of your spouse with new cars or jewelry when he or she is claiming to be broke, as long as those pictures were not obtained illegally, they are generally admissible in court. Merely showing your spouse in a picture with luxury goods is not enough to allege financial malfeasance, but it is an acceptable method of opening the proverbial door, and once their spending habits have been called into question, it is less difficult to get to the truly damning evidence. While social media serves us in many different useful ways, it can be more trouble than it is worth during a divorce. If you need help getting through your divorce, the Las Vegas divorce attorneys at the Kainen Law Group are ready, willing and able to try and assist. Contact us today to set up an initial consultation.